The name marijuana comes from the Mexican Spanish word marihuana or mariguana. The term is now well known in English largely due to the efforts of American drug prohibitionists during the 1920s and 1930s. The prohibitionists deliberately used a Mexican name for cannabis in order to turn the US population against the idea that it should be legal by playing to negative attitudes towards that nationality (wikipedia). There is an assumption that the law runs on a moral compass.That assumption is wrong. 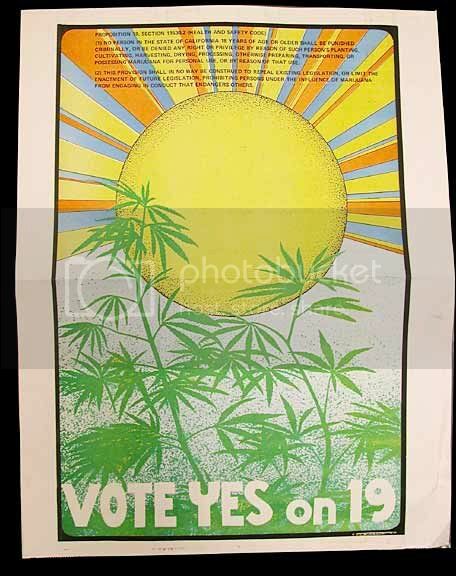 Proposition 19 in California, to be voted on by the people on November 2, will allow for the recreational use of marijuana - regulate, tax, control.